Indian Environment Minister dismisses Himalaya Global Warming concerns | Watts Up With That? 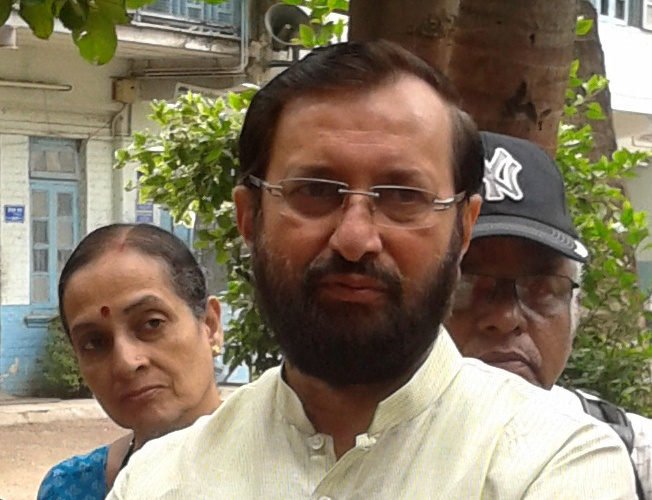 Indian Environment, Forests and Climate Change Minister Prakash Javadekar has submitted a written response to a question posed in the Indian parliament, which categorically rejects concerns that global warming might be having an adverse effect on the Himalayas. Perhaps the Himalayan global warming scare is a bit like the debunked climate refugee scare – lots of hype and exaggerated claims, but no credible supporting evidence. Some politicians find it harder to lie just to support the climate change religion. How did he manage to become a Minister if he isn’t adept at lying? Surely this bit of honesty was a mistake. India still has a lot of poor people who need to be brought into the 21st century. Can’t do that without low cost energy. India is one of the major hold outs against the global warming scam. In CAGW, no good deed goes unpunished. He’ll have to go in hiding next week. He obviously understands the real science. There is no evidence of climate change only adverse weather events which do not foretell global catastratophy. Didn’t he get the memo? The COP21 clownfest is just a few months away, and they need all the science CAGW hype, spin, shaming and blaming they can get. After all, the future of the planet CAGW religion is at stake. For shame! After returning from the Copenhagen fiasco some year back, empty handed and with bottom lip trembling in bitter disapppointment, Australian Prime Minister at the time, Kevin Rudd (or Evan Krudd to some) infamously whinged that “we were ratf&%ked by the Chinese”. Judging by the Ministers statement, come Paris and with a bit of luck, perhaps the Indians will take the lead in f&%king the even bigger, madder rat or even better join with the Chinese in a veritable gangbang in the CAGW rat whorehouse. Apologies to all for such a turn of phrase but that is about what I think of the CAGW industry and its political pimps. I really have had a gutful of this vile campaign which has turned carbon into an object of hate. The single atom in the entire universe that has the subtle flexibility to naturally evolve life is treated like it is Satan’s spawn by these lunatics. It would seem these loons are perhaps some sort of fifth column, all e-connected, anti social mediated and fully Twitterised, silicon’s useful idiots working for the lesser good as part of the great Silly Con revolution. Next time let your feelings flow. You are not alone – I certainly agree with you. I fear Paris turning civilization to ratshit for some devious Leftists’ delectation. And you can then kiss goodbye to not less than 70% [Probably 85-90%] of the population. I like it. And unlike other platitudes, vous really êtes le carbone. Tres bon. Je suis carbon – too right! chant ad infinitum til the cretins get the message. Thanks for the rant, my wife has prevented me from using that kind of language in front of the kids and grand kids but after they go to bed we whole heartily agree. I hope Paris will be the last time these vile people are anywhere near any front page! Well that is refreshing, a government official rejecting claims that are not backed by evidence. Maybe a blip or maybe a sign that the world is regaining some semblance of sanity. Time will tell. Meanwhile do not expect Obama to take the hint. For him scientific claims are automatically valid if they support his political aims and automatically invalid if they do not. Aye, Claudius – it is a positive feedback loop. And if we don’t introduce negative feedback to dampen the feedback loop, it will result in catastrophic runaway government growth. Unfortunately there seems to be no known natural negative feedbacks sufficiently powerful to stop this positive feedback. The only thing we can do is to wait until govt hits the rail known as “running out of other people’s money”, after which we pick up the pieces and try to rebuild, this time better. Sweden. England. Australia. Now India. The cascade effect is starting . . . and will gather momentum between now and Paris. Leaders who know the truth are not going to sell the economies of their people out for theoretical nonsense lacking evidence. Start making the popcorn, guys . . .! England? Did UKIP get in? It will be interesting to see how low down on the totem pole the representatives from these countries will be. UKIP have many sterling properties, but – maybe I blinked and missed – consistency seems not to be any of them. But – like you, I guess – I have real doubts about the delightful Amber Rudd [and – were he to attend – the Fat-Faced one called Dave]; Osborne is simply ambitious – no principles at all, so far as I can see. Simply following the last person to send them a text message . . .
Or do they understand the situation – and the implications a few years down the line [at a stage when their own pension could still be sequestered]? Mods – “Yeah – right!” – is the only known example of a double positive (given the appropriate tonation) representing a negative anywhere in linguistics – even in Klingon. Countries such as India and China can’t afford to play pretend games with other peoples’ money, the west still can (but for how much longer is the question). I bet he will either revoke this statement within a week or gets ousted. O’Barmy will see to that. I assume he will be unemployed by the end of the month. I suspect the opposite. There are a lot of politicians in India who do not look kindly on either the U.N. or the Obama Administration. This may be the foot in the door for India to assert themselves relative to the U.S. It also helps provide political cover for China, Canada, Australia, Germany, the U.K. and others to make claims that the doom and gloom of climate change is just hype. It will only take about 3 or 4 nations to turn Paris into a farce, and right now I’m seeing 6-8 on the fight card that are ready to call the U.N.’s bluff. Why do you have Germany and the UK on your list? I expect a lot of noise from them as cover for past sins and more importantly, to lure the US administration into making even worse economically unsound blunders. On the other hand, some would argue that Obama and his Green backers need no added incentive to pursue his destructive course for the nation. Alan, I have U.K. and Germany on the list exactly because, as you indicate, there will be a lot of noise. I believe they will be hedging their bets in Paris, and that works against everything that Obummer and the U.N. want to achieve. As for the U.S. acting alone, ain’t gonna happen, the court precedents against EPA action without sound economic analysis are coming at a regular pace these days, (I count 4 in the last 6 months). Not everyone with a CC title believes the little “o’s” bullcrap, especially when put to the test. India is a bit ticked off at not getting the same emissions deal as China, hence kicking out Greenpeace and generally making life difficult for various bloodsucker green NGOs. Wonder how their ‘making difficult’ is doing with the Wind Farm Generators? DD: This is something I have advocated for the UK: That windfarms should specify a ‘target’ output of the turbines (we know it’s not going to much over 30%) over a period, and if they don’t meet it, pay a ‘fine’. Then we might just start t see the end of the rubbish spouted by BBC and others: ‘this windfarm will supply 30,000 homes’! “debunked climate refugee scare”? But I heard just this week that the refugee problems that are concerning most Europeans, esp. in the UK, are caused by climate change! It must be true – it was said on BBC news. Be interesting to spring the question of their status on know it all dolts like Matt Lauer or Charlie Rose. Two thousand and eighteen glaciers representing climatically diverse terrains in the Himalaya were mapped and monitored. It includes glaciers of Karakoram, Himachal, Zanskar, Uttarakhand, Nepal and Sikkim regions. Among these, 1752 glaciers (86.8%) were observed having stable fronts (no change in the snout position and area of ablation zone), 248 (12.3%) exhibited retreat and 18 (0.9%) of them exhibited advancement of snout. The net loss in 10,250.68 sq. km area of the 2018 glaciers put together was found to be 20.94 sq. km or 0.2%. Following the Intergovernmental Panel on Climate Change report of 2001, a hype regarding the future of Himalayan glaciers, flooding of Indo-Gangetic plains and coastal areas and drying of glacially fed rivers has been created. However, the recent studies of some of the Himalayan glaciers indicate that the rate of recession of most of the glaciers in general is on decline. 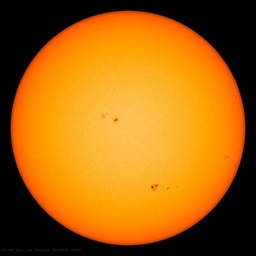 These observations are in contradiction to the widely popularized concept of anthropogenically induced global warming. It is believed that the rise of temperature of around 0.6°C since mid-nineteenth century is a part of decadal to centennial-scale climatic fluctuations that have been taking place on this Earth for the past few thousands of years. Abstract: Six hundred and seven glaciers of the Shigar, Shashghan, Nubra and part of Shyok sub-basins of the Karakoram region were monitored using satellite data of years 1977, 1990, 2000, 2001, 2002, 2004, 2006, 2008, 2009, 2010, 2011 and 2013. …. Despite significant geographic and temporal variability betraying the 10 dynamic nature of many of the glaciers, in aggregate the population is roughly stable with less propensity toward retreat than most other glaciers in the nearby Himalaya and in the world. 341 glaciers exhibited no measured change throughout the 36 years of the study. Among other glaciers, no significant and sustained pattern of retreat or advance was observed. Conclusion: The glaciers in our study area of the Karakoram include many advancing glaciers and many retreating ones, but most of the glaciers have remained nearly stable over several decades. A couple percent of the glaciers are surge types. There have been temporal changes in aggregate glacier behavior. Before 1990 the glaciers on average were either stable or retreating. In the last two decades Karakoram glaciers, on average, have experienced noticeable advances of their snouts and areas. The aggregate changes, 25 however, are small for every period considered. The present study utilizes different remote sensing-based methods to generate an updated glacier inventory for the entire Karakoram region. It provides a new comprehensive dataset on the state of advancing, stable, and retreating glaciers, including the temporal and spatial variations of frontal positions between 1976 and 2012.Out of 1219 glaciers in the inventory, the vast majority [79%] showed stable terminus positions (969). These findings support the assumption of the anomalous behavior of glaciers in the Karakoram in comparison to adjacent mountain ranges, which indicate glacier recession and thinning (Bolch et al., 2012; Hewitt, 2005; Gardelle et al., 2013; Kääb et al., 2012; Scherler et al., 2011). Glacier recession is found for only 8% of the glaciers in the inventory, indicating decreasing numbers since the beginning of the 21st century, whereas the number of advancing glaciers [13%] has increased since then. Considering the advance of small glaciers with assumed short response times of about 10–20 years, we conclude on a balanced/positive mass balance in the Karakoram since the 1980s or 1990s, or even earlier, induced by changing climatic conditions since the 1960s (Archer and Fowler, 2004; Bocchiola and Diolaiuti, 2013; Williams and Ferrigno, 2010; Yao et al., 2012). The first link in your list is the debunked 2035 IPCC glacier nonsense which Pachauri was forced to withdraw. The rest of the links indicate regional stability. India takes the Himalayas seriously – Prakash Javadekar as part of his written response to parliament gave a brief overview of India’s extensive meteorological monitoring system. … However, for monitoring and prediction of extreme weather events over the Himalayan region, India Meteorological Department has established state meteorological sentres at Srinagar, Shimla, Dehradun, Gangtok, Guwahati and Agartala for forecast of natural calamities like very heavy rainfall, snowfall, thunderstorm, etc..
How dare he trust his lying eyes. However some glaciers have in fact been impacted by industrial grime and soot. This is primarily a summer phenomenon, because a fresh snowfall will ameliorate the effects somewhat. And of course recent studies show that the primary rivers and tributaries are rain sourced, with glaciers having but a fraction of volume. Excellent idea. They shall buy on the free markets what they can’t deliver and feed the grid with it. Non Nomen’s “Buy or Bust!” idea may be a political winner. They got their subsidies based on the “rated capacity” of the windmills. Taxpayers might well see justice in requiring a return of benefits for the unrealized KWs. This, as most here realize, is largely a political rather than a scientific issue. If voters want more money for other projects, or lower taxes, or reduced spending, the recoupment of the now unjustified tax credits and subsidies may well be demanded even by liberal and “moderate” voters. Voters, not facts, motivate successful candidates. As tempersture drops by aproximately 6.5C -7.5C per km of altitude, just how is Global Warming going to affect anything in the Himalayas? @wicked, see my comment @ 10.09 pm. If countries like India and most of Africa and South America etc etc had access to cheap energy the people would not have to cut down trees for fuel and use dung to cook food and it would stop the erosion of areas like the Himalayas and give agriculture much needed composts. The warmists are using the visuals as “the effects of climate change”. To me the dog and pony show needs to be exposed for what it is. This is a small step forward! Well said, I would like to see India follow this up by a no-show at Paris – along with several other countries. “You see all that snow up there on the mountains? It’s not actually melting at all so get out of my hair.” -cool Indian dude to useless western environmental weirdo. Since China gets to increase emissions without limit until 2030, why should any country that emits less than China be expected to cut emissions? Why is it that the US, which historically been the biggest polluter, now pushing everyone else to clean up their act? When in fact the US has cut emissions largely by exporting jobs to the third world. As jobs have moved, so has the pollution along with the money. Now the US wants this pollution cleaned up, no doubt hoping to force the jobs and money to return. As Uncle Sam is learning: the greenback is the one thing missing from the green economy. His statement you cite was about a specific question on extreme events in the Himalayas. He did not categorically reject “concerns that global warming might be having an adverse effect on the Himalayas.” Climate change (whatever its cause) is impacting the region. Glaciers, for the most part, are retreating. Javadekar is merely pointing out that there is not enough evidence to know whether or not “natural calamities” in the region can to tied to climate change.